The Donaldson family have been seriously involved in wine since the early 1970’s and were pioneers of local grape growing and wine making. Associate Professor and Consultant Neurologist, Ivan Donaldson is a wine writer and wine judge and has recently been awarded an Order of Merit for his contribution to Neurology. He also oversees viticulture and wine styles while his wife Christine directs most of her energy on maintaining the winery’s extensive grounds. She is also a lover of opera and the arts and has been heavily involved in the local Opera scene for many years. Christine has organised a number of concerts at the winery’s natural amphitheatre and a reserve range of wines have been dedicated to Christine’s passion for opera. Pegasus Bay is an entirely family-owned and operated enterprise. Main Divide is the second label of Pegasus Bay. 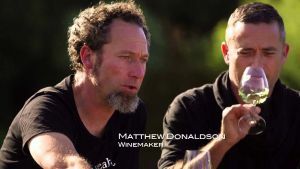 Main Divide's aim is to produce wines that reflect the unspoilt freshness, purity and cool climate of selected wine growing regions of the South Island.